Remember how I told you that everyone who won their primary race in March (with the exception of a handful of outliers in the far north and northwest suburban 12th and 13th Subcircuits) was pretty much guaranteed of election in November? Well, as ESPN pundit Lee Corso might say, not so fast, my friend! According to the Illinois State Board of Elections website, attorney Rhonda Sallee has filed as an independent candidate seeking the Williams vacancy in the 5th Subcircuit. According to my archives, Sallee's is the first independent judicial bid filed in Cook County since 2010. Two candidates filed as independents for judicial office that year; neither made it to the November ballot. The Election Code makes it difficult for judicial candidates to enter a party primary; there are large signature requirements and very particular rules about how those signatures are collected and arranged and what must be filed along with them. But these requirements, onerous as they may be, pale in comparison to those imposed on a would-be independent bid: The signature requirements are much, much greater than those required of a candidate seeking to file in an established party primary. So Ms. Sallee's candidacy may falter without her ever making it to the ballot. If she overcomes any objections to her petitions, however, Sallee's November opponent would be Daryl Jones. Jones won the Democratic race for the Williams vacancy in the March primary. Sallee has been an attorney in Illinois since 1999. According to the ARDC, Sallee maintains a law office in the Chicago Temple Building across the street from the Daley Center. 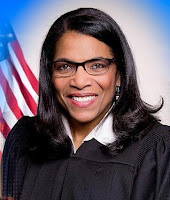 Sallee's LinkedIn page notes that she has also served as a hearing officer for the ARDC, as an arbitrator in the Cook County Mandatory Court-Annexed Arbitration System, and as administrative law judge (though the LinkedIn page does not specify the agency for which she works, or has worked). Sallee was a countywide judicial candidate in 2012. The Illinois Supreme Court today appointed Judge Robin D. Shoffner to an 8th Subcircuit vacancy created by the retirement of Judge Candace J. Fabri. The appointment is effective this Friday, July 1, and runs until December 3, 2018. Judge Shoffner is currently sitting by Supreme Court appointment to the Williams vacancy in the 5th Subcircuit. In the March primary, Daryl Jones defeated Shoffner's bid to hold that vacancy. 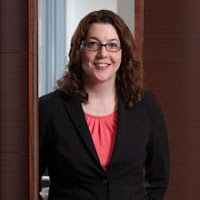 Shoffner was rated Qualified or Recommended by every Alliance bar association in the March primary; she also carried the Tribune's endorsement. However, neither Shoffner nor Jones was rated Qualified by the Chicago Bar Association (Jones having been automatically found Not Recommended because he "was an active member of the [CBA] Judicial Evaluation Committee at the beginning of this election year"). For those of you keeping score at home, Judge Shoffner's appointment today does not qualify as a "recall" to judicial service; Judge Shoffner's 5th Subcircuit appointment continued despite her loss in the March primary. Today's order means only that Judge Shoffner will be permitted to remain on the bench past the December 2016 expiration of her current appointment. In recent years, the Supreme Court has reappointed a number of judges -- not all of them, mind you, but some -- who came up short in a contested primary. Some of these reappointed judges (although again not all) have fared better with the voters when they next ran for election. Illinois Supreme Court Justice Mary Jane Theis has announced application processes to fill vacancies in the 3rd and 10th Subcircuits. Full details about the application process for the 10th Subcircuit vacancy can be found here; information about the forthcoming 3rd Subcircuit vacancy can be found here. The deadline to apply for either vacancy is July 25 at 4:00 p.m. -- and, no, interested persons can't apply for both: Persons wishing to be considered must be a resident of the subcircuit from which they seek appointment. Candidates seeking appointment by Justice Theis will have to participate in screening by the Alliance of Bar Associations, which is made up of 11 bar groups in the Cook County area, and the Chicago Bar Association. Further review will be conducted by a special judicial screening committee that Justice Theis established in 2013 and is co-chaired by retired U.S. District Court Judge Wayne R. Andersen and retired Illinois Appellate Court Judge Michael J. Gallagher. Persons who have submitted applications to Justice Theis's committee before will have to submit a new application. The 10th Subcircuit vacancy is created by the elevation of Judge Eileen O'Neill Burke to the Appellate Court; Burke ran unopposed for the Epstein vacancy in the March primary and was appointed to fill that vacancy soon thereafter. She was first elected to the Circuit Court in 2008. The 3rd Subcircuit vacancy will occur on July 31 when Judge Maureen Leahy Delehanty retires. Judge Delehanty began her judicial career in 2009, when she was appointed to a countywide vacancy. She was subsequently appointed to a 3rd Subcircuit vacancy in 2010, winning election to that vacancy in 2012. The post below about Clare Quish's appointment to the bench and Judge Mary Mikva's elevation to the Appellate Court drew the predictable comments about "friends and family" and "insiders," in large part because Ms. Quish served for several years as a law clerk to then-Appellate Court Justice Mary Jane Theis... and it was now-Supreme Court Justice Theis who recommended Quish's appointment by the Supreme Court. It's not 'sour grapes' to harrumph about the prior association. Please. I am certain that there were a great many applicants for the Circuit Court appointment (Justice Theis uses a committee to screen judicial wannabes) who were at least as qualified and capable and smart as Ms. Quish. And who'd do as good a job in office, too. On the other hand, when your sink backs up, do you call the plumber who fixed your hot water heater last year? Or do you ignore that good experience and pick a name out of the phone book? You might ask your neighbors who they've used -- and your neighbors probably know some excellent plumbers, too -- but (in Chicagoese) if you've 'got a guy,' why would you look elsewhere? One of the anonymous comments (they're all anonymous, of course; only an idiot blogger gives his name) was signed "The Guy Nobody Sent." Another, after venting about Ms. Quish, added, "please do not get me started on the Mikva appointment to the Appellate Court. If the Mikva name sounds familiar to anyone with respect to Democratic Politics, it should." Yes, the name Abner Mikva is familiar... former State Representative, former Congressman, former Judge of the United States Court of Appeals for the District of Columbia Circuit. Former White House Counsel (during Bill Clinton's first term). Mentor to a then-young Barack Obama. The ultimate insider. Except... on my bookshelf is a book, yellowing slightly now with age, by the late Milton L. Rakove, titled We Don't Want Nobody Nobody Sent (Indiana University Press, 1979). It's an "oral history" of the Daley years (that's the Richard J. Daley years for you young people out there). Think Studs Terkel, only Professor Rakove was interviewing politicians, not war veterans or people along Division Street. I guess I had always an interest in politics. The year I started law school, 1948, was the year that Douglas and Stevenson were heading up the Democratic ticket in Illinois. I was all fired up from the Students for Douglas and Stevenson and passed this storefront, the 8th Ward Regular Democratic Organization. I came in and said I wanted to help. Dead silence. "Who sent you?" the committeeman said. I said, "Nobody." He said, "We don't want nobody nobody sent." Abner Mikva may be as much of an "insider" as anyone can imagine... now. But he was the original nobody that nobody sent. Things change. Today's outsiders may be insiders tomorrow. I don't pretend to know what alchemy or magic spell converts an outsider to an insider. But history shows that it happens. Sometimes. In an order entered yesterday, the Illinois Supreme Court appointed Clare J. Quish, a partner at Schuyler, Roche & Crisham, to the countywide vacancy created by the retirement of Judge Michelle D. Jordan. Quish's appointment is effective June 28 and will terminate on December 3, 2018. Quish's firm biography stresses her appellate and commercial and civil litigation experience "including professional liability, employment law, personal injury defense, insurance coverage and construction law." A 2000 graduate of Loyola University School of Law, Quish began her legal career as a law clerk to then-Appellate Court Justice Mary Jane Theis. In the 2004-05 school year, Quish was an Adjunct Professor of Appellate Advocacy at Loyola. In another order entered yesterday, the Supreme Court assigned Chancery Judge Mary L. Mikva to the Appellate Court, filling the vacancy created by the recent passing of Justice Laura C. Liu. Judge Mikva's appointment is effective July 15. Both of these appointments were made at the recommendation of Supreme Court Justice Mary Jane Theis (see press release).